President Donald Trump has become such an ethical and moral wrecking ball on the presidency that any celebration of any American political leader’s life — no matter that leader’s political persuasion nor the ordinariness of that leader’s civic contributions — becomes a singing baritone sax at a funeral home viewing, blasting the contrast to our current White House occupant. Without meaning to be, the funeral of George H. W. Bush was a festival of contrast. Forty-first United States president George H. W. Bush (R-Texas) passed away last Friday at the age of 94. His funeral in Washington National Cathedral was yesterday, Wednesday. Unlike Senator John McCain’s (R-Ariz.) ceremonies, which were laden with direct rebukes of current president Donald Trump — including one from the grave (McCain specifically prohibited Trump from attending his funeral) — the Bush family made no such attempts to send a message. But the message would not be contained, even by the dignity and humanity of Bush 41, his family, and his legacy. President Trump has become such an ethical and moral wrecking ball on the presidency that any celebration of any American political leader’s life — no matter that leader’s political persuasion nor the ordinariness of that leader’s civic contributions — becomes a singing baritone sax at a funeral home viewing, blasting the contrast to our current White House occupant. Without meaning to be, the funeral of George H. W. was a festival of contrast. 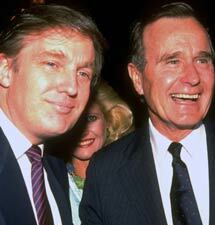 Mr. Bush had made it clear before his death that Donald Trump would be welcome at the funeral and other memorial services, for two reasons: 1) out of George H. W.’s respect for the institution of the presidency; and 2) so that Trump would have no excuse to bellow his vitriol and spoil the events. Perhaps 41 knew exactly what he was doing. There would always have been contrast. But with Trump actually present, the world was able to see him physically juxtaposed — and excruciatingly uncomfortable next to America’s former living presidents — with the accolades and respect given to Bush by the eulogists. They praised George H. W. Bush for everything Donald J. Trump is not. One praiseworthy attribute was Bush’s capacity to respect opponents and not make them into enemies — then later, befriend and work with former opponents for the common good. “Trump was in the company of all his living predecessors for the first time, and the encounter was plainly uncomfortable. By 10:49 a.m., when Trump and First Lady Melania Trump stepped into the cathedral, a cool hush had come over the pews filled by American dignitaries and foreign leaders, past and present. Trump handed his black overcoat to a military aide and took his seat on the aisle next to his wife, with three past presidents and first ladies seated to her side. 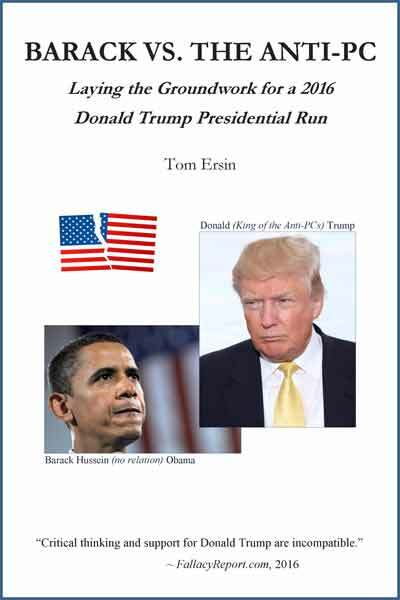 As the four eulogists spoke, the American people and the world were compelled to consider the Trumpian contradictions to the positive characteristics of our 41st president. He called Mexican immigrants “criminals, drug dealers, rapists.” He called Haiti, El Salvador, and other African countries “sh**hole countries.” He said white supremacists and neo-Nazis comprise some “very fine people” after the August 2017 Charlottesville, Virginia, Confederate statue protests and murder of an anti-Nazi counterprotester. One of the four eulogists at the funeral was former Canadian prime minister Brian Mulroney, who led his country during Bush’s time as chief executive. Mulroney credited the president for three of his administration’s achievements: passing the Clean Air Act and the Americans With Disabilities Act, and negotiating NAFTA, one of Trump’s primary trade deal foils. And every listener instantly associated Donald’s orange mug with the word void. “Bush’s funeral was so powerful a renunciation of his current successor because it was a celebration of character. Friendship was invoked 21 times by his eulogists. Loyalty, 10. ‘Honor,’ ‘integrity,’ ‘dignity,’ ‘decency’ and inner peace all recurred. Certainly, Bush could be a fierce partisan and a brutal politician (remember Willie Horton? ), but his service in World War II — he was shot down over the Pacific — left him with lessons that fueled his generation’s greatness: The opposition is not the enemy. There are causes greater than self. Political defeat is not the worst thing. And American leadership in the world is indispensable. Special Prosecutor Robert Mueller’s team filed its eagerly awaited sentencing recommendation in court Tuesday for former Trump national security adviser Michael Flynn. We have not heard much about Flynn since he entered into a plea cooperation deal with Mueller almost a year ago. The gist of the filing is this: 1) Flynn lied repeatedly to the FBI and DOJ about contacts with Russians and other things; 2) Flynn has given up more than Mueller ever could have hoped for, concerning multiple investigations, and should be given zero jail time; and 3) Trump should be defecating handy-sized units of building material typically being rectangular. Perhaps Corker and Graham are coming back from the Trump-supporting-land of the invertebrate. Lindsay Graham has sold his soul to Trump over the past 18 months and has lost most of his credibility with even many Republican thinkers. But as a senator, Graham is in a position to start seeing the beginning of the end of the current administration. Apparently he’s taken a stand with the murder of Jamal Khashoggi and the president’s obsequious acquiescence toward Khoshoggi’s killers: Saudi Arabia’s royal family (and major source of Trump business profits). Wouldn’t it be nice if Lindsay Graham could begin taking a stand against all the other Trump atrocities? He has embraced Donald since shortly after the presidential election because Graham has determined he must, to retain enough support for his own re-election in 2020.